Spiritual teacher, co-author with Stephen Levine of The Heart of Relationship and more. 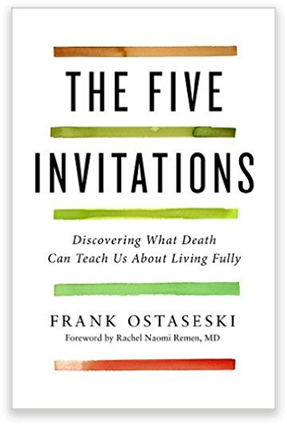 “Every sentence in this book is written with a velvet pen from deep within Frank Ostaseski’s heart. The authenticity of his life and his work is on every page. It is a sharing that, ultimately, our own reality is love and that when we remember that, fear has a way of disappearing by becoming valueless. It takes a lot of courage to write a book that is so beautifully transparent."